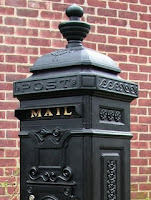 Mailbox Monday is hosted by Marcia at The Printed Page, but for the month of December MM is on tour and hosted by Lady Q @ Let Them Read Books. Hello ladies and gents! Time for another edition of Mailbox Monday! I had a pretty good week and received two books for review. Both have been on my wishlist for 2011 releases so I was super excited to get them! I also have the pleasure of interviewing author Karen Harper early next year and am very stoked! SYNOPSIS: Born into a first family of Ireland, with royal ties on both sides, Elizabeth Fitzgerald-known as Gera-finds her world overturned when Henry VIII imprisons her father, the Earl of Kildare, and brutally destroys her family. Torn from the home she loves, her remaining family scattered, Gera dares not deny the refuge offered her in England's glittering royal court. There she must navigate ever-shifting alliances even as she nurtures her secret desire for revenge. 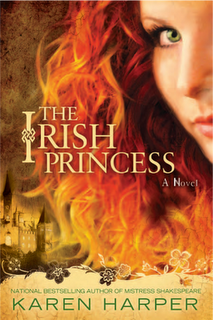 From County Kildare's lush green fields to London's rough-and-tumble streets and the royal court's luxurious pageantry, The Irish Princess follows the journey of a daring woman whose will cannot be tamed, and who won't be satisfied until she restores her family to its rightful place in Ireland. SYNOPSIS: And there’s a legend—she had only vague details—that all couples who are meant to marry are connected by an invisible silver cord which is wrapped around their ankles at birth, and in time the matchmaking gods pull those cords tighter and tighter and draw the couple slowly toward one another until they meet.” So says Miss Kate Begley, Matchmaker of Kenmare, the enigmatic woman Ben MacCarthy meets in the summer of 1943. So, that's my mailbox....tell me about yours! Great mailbox :) They both sound really good. I have a bit of irish as well! My mailbox is up as well. I so want the hair in the first cover! The Matchmaker of Kenmare looks awesome. I'd love to read this one. Those both sound really good! Happy reading! You have two interesting books there. It sounds like they both capture the spirit of the Irish people. 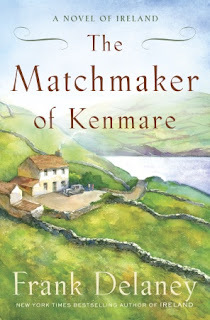 I love the cover of The Matchmaker of Kenamre. Oh I'm very envious of the Frank Delaney book -- I love him! I love these two books. They're going on my wish list. Love Irish/Scottish books. Thanks.